The Little Mermaid's Ariel, Cinderella's eponymous Princess, and Belle from Beauty and the Beast! 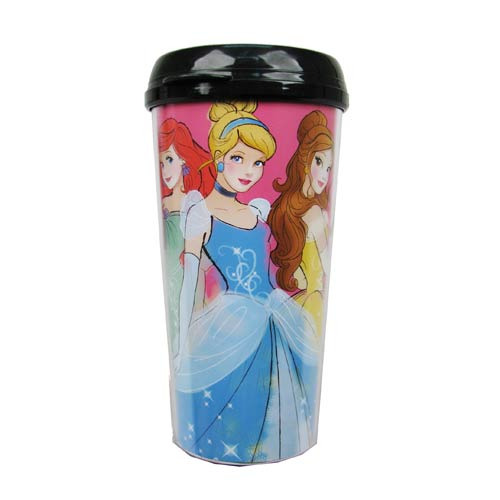 Take your favorite beverage on the go in your very own Disney 3 Princesses Plastic Travel Mug. It's made of plastic, holds 16 ounces of whatever it is that gets and keeps you going, and features three Disney Princesses around the cup. Hand wash only. Not dishwasher safe. Do not microwave. Ages 8 and up.